The first night I was in Brown, a few days early for Honor my second year, I dropped by Tucker Lounge to find a few people. 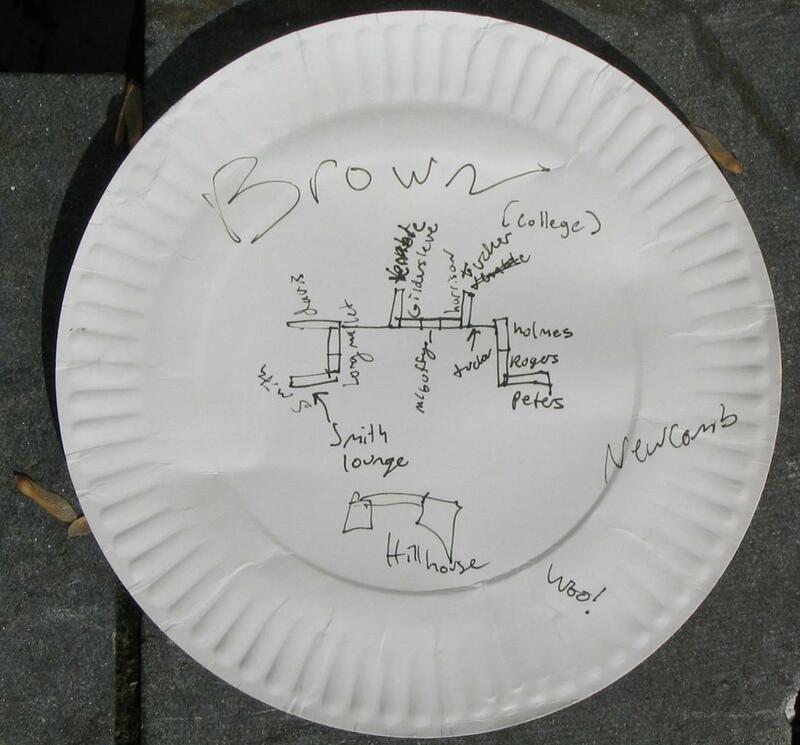 Rebecca Cullers, then a third year, drew me this map so that I would know where what was :). I think to my surpise, I found Brown wasn't a labyrinth of underground tunnels, but one tunnel with a single short split-off. 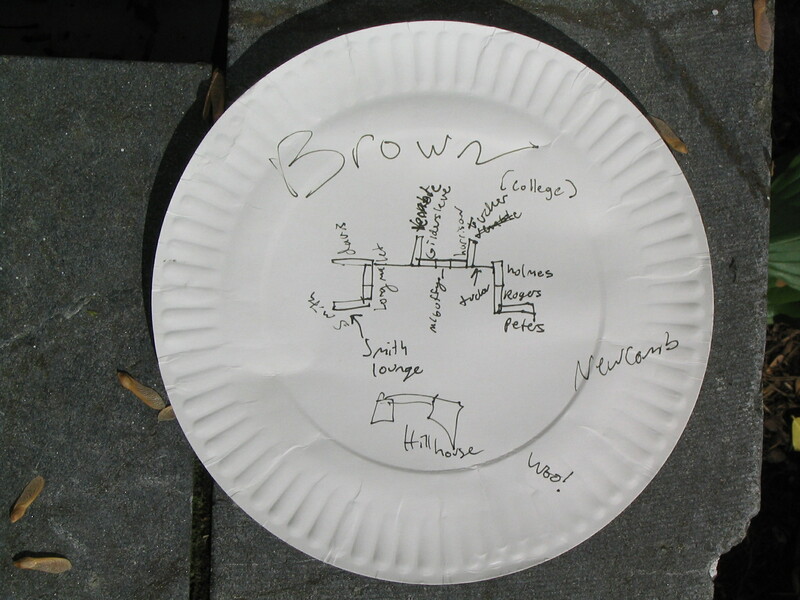 And, even for Rebecca, a third year who had lived in Brown for a year or two, portals can be confused for each other :).